Yay! 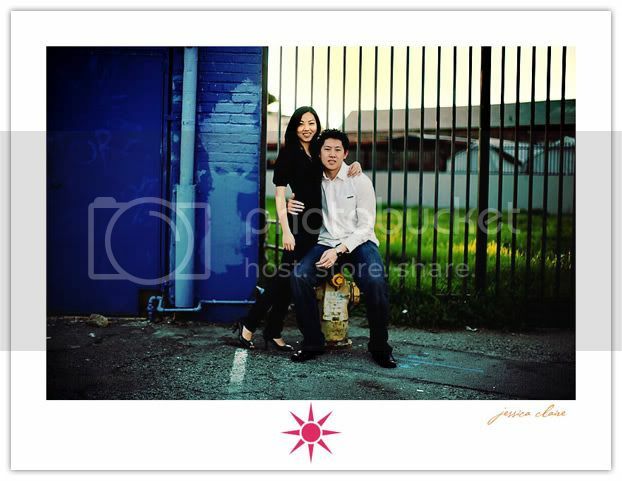 Jer and I shot our engagement pics this past weekend in LA with Jessica Claire and she just posted them on her blog!! Here are a few of my favs. Check out the rest of ’em here. Man, I can’t believe we have less than 3 months to go!!! Oh gosh....so freaking amazing. Both her and you guys! 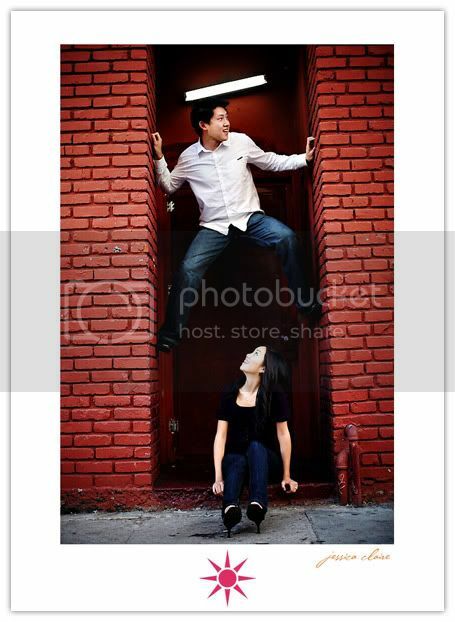 i saw your pics on JC's blog today & was like, "oooh serena & jeremy!" beautiful photos! can't wait to see photos from the big day! daym yall are one good looking couple! congrats in your pending nuptials, we're in the same boat - yay! so cute! good luck with the rest of wedding planning! Looks like a lot of fun. I like #2 with the sun backlighting your hair. wow!!! those are so great!! love the shots, and you guys make for awesome engagement models! man you two look hawt! hahaha man jessica did such a great job! any idea what that girl shoots with? thanks everyone! we love how the pics turned out and jess is so great to work with! she made us feel so comfortable in front of the camera. saphoto - she shoots with a 5D and i think she had a 50mm f1.2 on her camera most of the time. check out this video to see what else she shoots with. these are too cute serena!! Wow, You hired the big pros! Might you have the chance to meet Becker himself? Beautiful photos, you've really got your personalities captured in that last sequence, I love it! Classy pics! Wow Jessica Claire - neat! awesome photos. she really captured ya's personality and the love. I love you guys!! great pix!! By the way, it was soo nice to meet you this past saturday! We should get together again soon! Looks great! 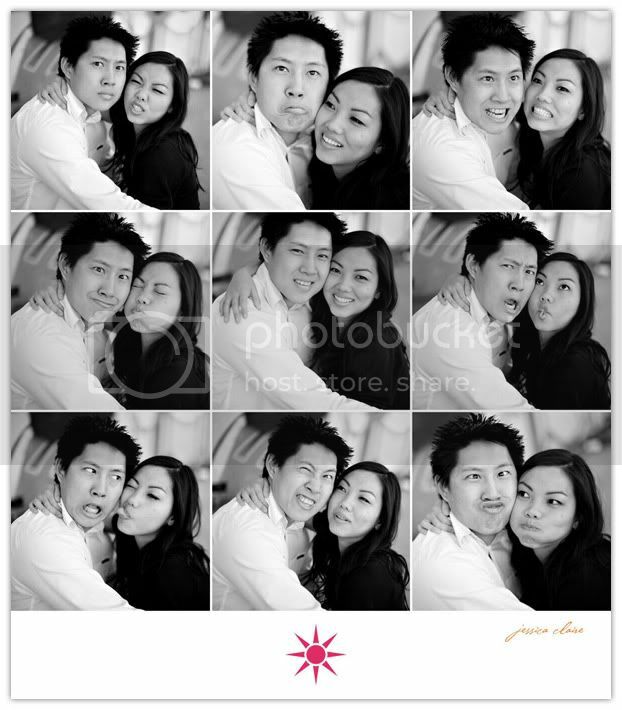 =) Looks like a great preview of beautiful wedding pics to come! great e-photos! i am so envious, i am a big fan of jessica claire . WOW! These are wonderful! You look beautiful! What a blessing. :) Can't wait to see the rest! Not just great photos but you guys put some really cool energy into it! I like the doorway climb and pick-you-up dip the best just because it shows some real personality and fun. Cute couple, awesome photos! it looks like a fun photo session... esp the pic of you over jeremy's shoulder...! sweetness!!! looks like you guys had fun!!! hope you learned a few tricks too!!! Finally you got your own engagement pics! Both of you look gorgeous!